Can you hear it? 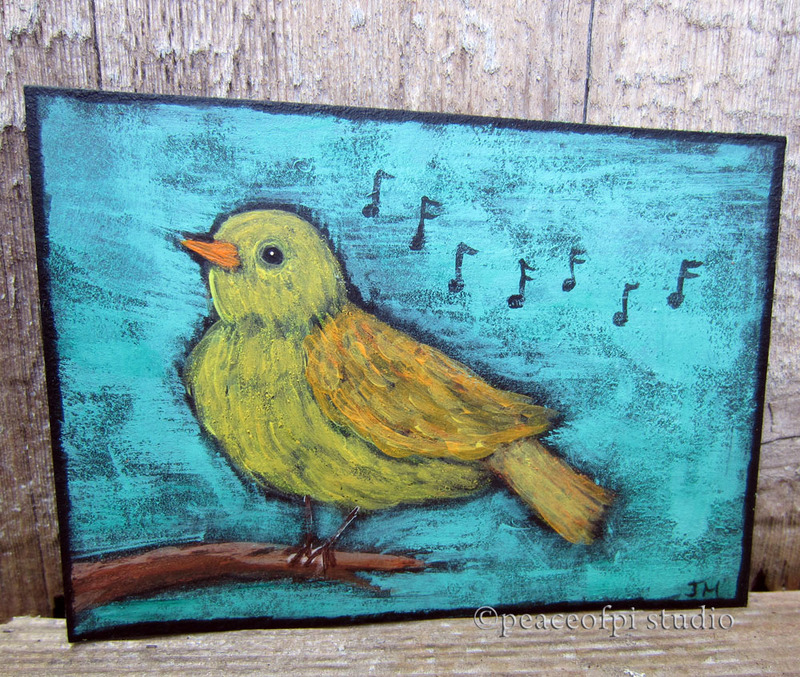 This canary is singing his sweet song in this miniature painting. 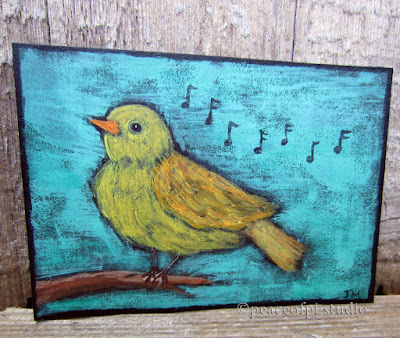 Created in acrylic, the painting is ACEO sized at 2.5 X 3.5 inches (ACEO = Art Cards, Editions and Originals). With his golden yellow feathers fluffed to full plumage, the bird lifts his head and sings out like only a happy canary can, calling others to join his song.